Baking is a great alternative to ﻿﻿﻿﻿﻿frying ﻿﻿food if you plan to start a healthy diet. Baked foods also tend to be more flavourful and juicier since ovens contain heat that brings out the food’s natural juices. I for one decided to get myself the best countertop oven that I can use to bake myself small meals like chicken fajitas or the occasional chocolate chip cookie. Unlike conventional ovens, countertop ﻿﻿ovens take up little space, which is why it’s perfect for baking small meals. If you are planning on getting yourself a countertop oven, but don’t know the first thing about getting one, don’t fret because this article will help you decide which product you should get for your kitchen. What Should You Consider When Buying a Countertop Oven? Which Countertop Oven Should You Choose? A countertop ﻿﻿oven is a right kitchen tool for you if you’re into baking cookies, roasting pizza or bread, or if you’re simply trying to start a healthy diet. A countertop oven can truly become a great addition to your kitchen since it acts like a microwave, oven, and toaster combined together. Unlike conventional ovens, microwaves, or toasters, convection ovens can offer you completely baked, broiled, or roasted meals at great speeds without taking up a lot of space in your kitchen. Large conventional ovens usually use two heating elements found at the top and bottom of the oven. When cooking, conventional ovens only use the lower heating element to bake the food. This leads to uneven heating that makes the outside of the food hot and cooked, but its center cold and raw. Unlike conventional ovens, convection ovens include a fan that helps circulate the heat inside the oven, therefore preventing food from being burnt on one side or from not being cooked thoroughly. A convection kitchen appliance takes care of common issues such as hot spots that can lead to uneven temperature by integrating a fan into the machine to circulate and distribute air to maintain consistent temperature. Any kitchen appliance can use the methodology behind convection currents that circulate warm air. However, what makes convection ovens different is the way the warmth is circulated. It is integrated with a fan that ensures warm air gets distributed inside the appliance so that it can get its cooking job done. How does convection ovens work in baking food? The fan will distribute the air inside the machine, allowing for quicker and more even cooking for your food. By allowing food to be heated on all sides and angles, it gets cooked faster compared to other methods of cooking. Take a look and learn more about the products that we featured in this article. When buying any type of product, you should always have a few factors to consider so you can make a better decision when buying. There are plenty of countertop ovens available in today’s market, and all differ in function, size and price. Which is why before you make a purchase, you should be mindful of your personal preferences as well as your kitchen’s storage limitations. The first thing you should consider is your free counter space. You should be mindful of your available counter space to ensure that the product you will get will fit your kitchen well. You should measure your counters including the distance between the countertop and the shelves above it if there are any. Make sure the oven opens up well and that there are no obstructions that can block its flow. The second thing you should consider is the size of the countertop oven itself. It should be able to accommodate the type of food you wish to bake. There are several countertop ovens available today, and all vary in oven space. Some ovens are purely for small meals like fajitas and cookies, while some have adjustable trays that would let you fit a whole chicken inside the oven. The capacity of the oven you will choose will ultimately depend on your cooking needs. If you don’t have a standard oven and you will rely on this tool for baking, a bigger one would be better. However, if you have a standard oven and in need of a countertop oven as a backup one, a smaller one might suffice. The features you will need will heavily depend on the type of food you wish to cook. Some convection ovens offer functions for baking, broiling, heating, toasting, pizza, and more. This means that you should carefully choose a countertop oven with a set of features that will be most useful to you. These are devices that produce heat. And as heat-producing appliances, they tend to consume more energy. Whether you will be cooking for a few minutes or a few hours, make sure you are using one that has energy efficiency features to boast of. Compare energy consumption before buying. Some of these devices come with a nice and attractive modern design that works in a modern setting. If you like the look of these modern appliances, you might need to spend more money for them. However, if design is really not a major issue, you might be able to get away with simple mechanisms that do not have fancy controls here and there. Keep in mind that these appliances produce heat. That said, they should have mechanisms that prevent them from overheating so that they are safe to use at home. Not all countertop ovens are created equal. Some are not capable of cooking an entire chicken because the heating elements might not be up to par. If you plan on cooking meats, which tend to require higher heat, go for those with more heating elements so you can program your oven to produce the heat needed to cook your food. This large capacity oven can accommodate a 13 by 9-inch pan that makes it ideal for cooking whole pieces of chicken, large casserole dishes, a ham leg, and more. 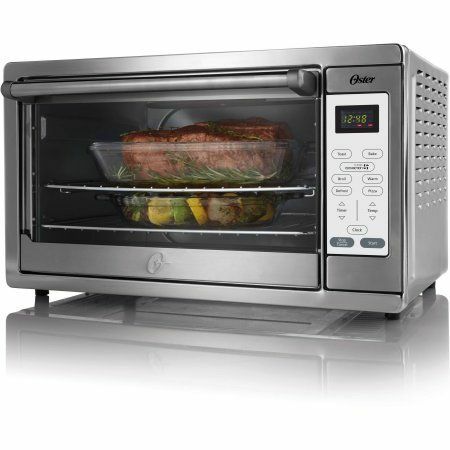 It can broil and roast all sorts of food since it comes with a temperature range of 150 up to 450 degrees Fahrenheit. What I like best about this oven is how it cooks food significantly faster than most ovens because of its highly reliable convection technology. It also comes with a set of digital controls that makes it a very comfortable machine to maneuver. This convection oven can help you cook all types of food really fast because it comes with a handy convection technology that ensures the warm air inside your oven gets to cover your food evenly and because it has multiple rack positions for added versatility. What’s great about this product is that despite being a lot less expensive than competing models, it still comes with digital controls and pre-programmed functions that will let you cook frozen food, pizza, bread, potatoes, cookies, and broil or bake with just a single push of a button. This convection oven is probably the most expensive one on this list. With its hefty price tag, it sure does come with a lot of handy features. 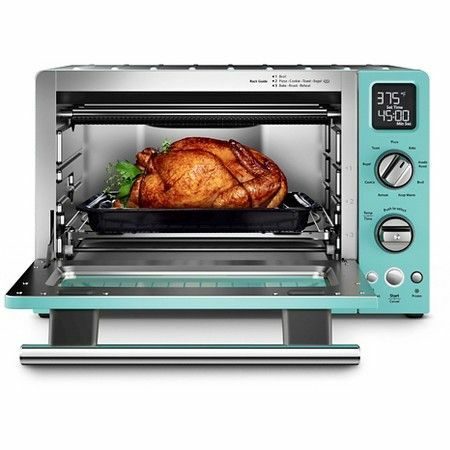 What’s great about this convection oven is that it can significantly help you save time with it’s one-touch presets that can help you perfectly toast, broil, reheat, warm, roast, and bake food with a single press of a button. This machine also comes with a very attractive design that is backed up by a backlit LCD display that makes it easier for user to operate and set this machine. This smart oven is the ideal choice for anyone who likes to make a single batch of food or two. This Breville mini oven comes with 8 handy preset functions that will allow you to cook certain types of food through several kinds of cooking methods with just a push of a button. What I like best about this oven is how it can easily fit any countertop because of its small dimension of 15.5-inches by 14-inches by 8.75-inches. It also comes with 3 rack positions for flexible cooking, a 4-slice capacity interior, and Breville’s Element IQ technology. 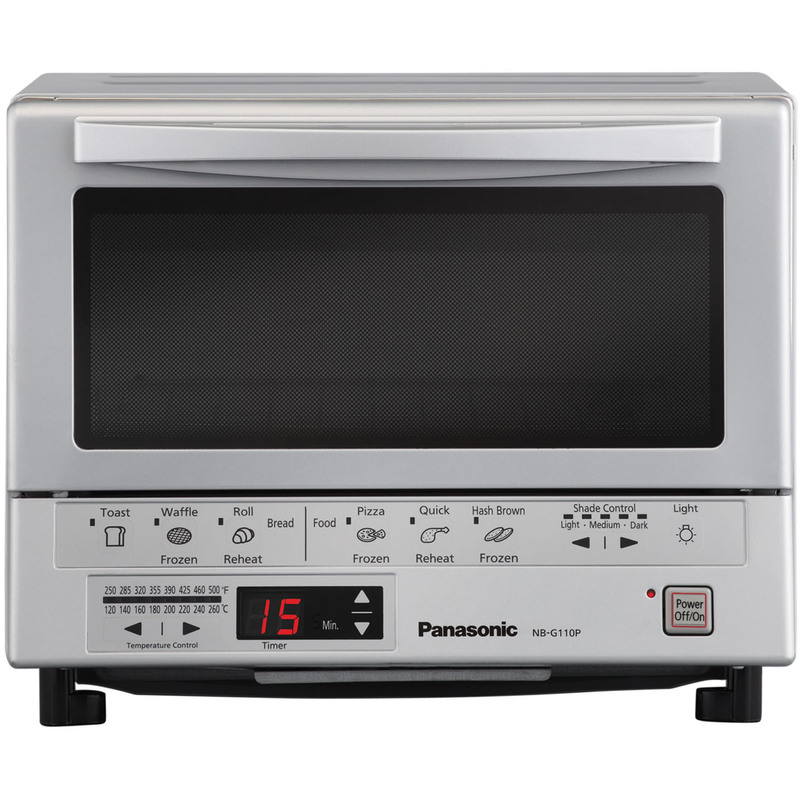 Another affordable choice included in this list is the Panasonic FlashXpress oven. This countertop oven comes with the FlashXpress technology, which is a set of double infrared lights, that can help you cook your food up to 40% faster than competing models. This smart oven also comes with an automatic cook time function that automatically sets the cooking time and temperature control for certain types of food. This product is also quite attractive with its compact design and user-friendly control panel that will help you navigate through 6 presets for reheating, toasting, defrosting, and more. 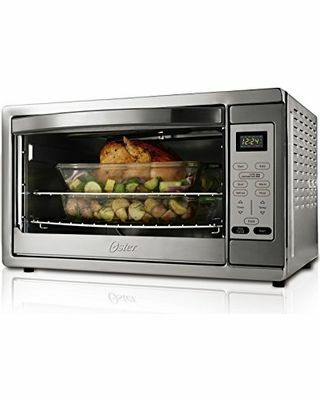 For people who have limited space, getting the Oster Large Capacity Countertop is a good option because we feel it is the best countertop oven and even has a sleek design. If you don’t want to spend too much money but you still want something with reliable functions that will allow you to cook bigger batches of meals, the Oster Large Capacity Countertop is a good choice. 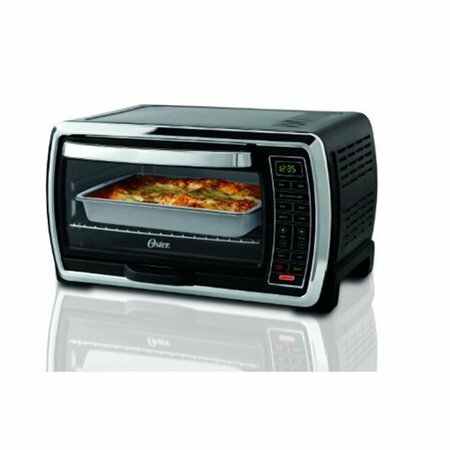 It has basic features but comparatively better heat settings, so you can cook different kinds of meals such as roasts and casseroles. 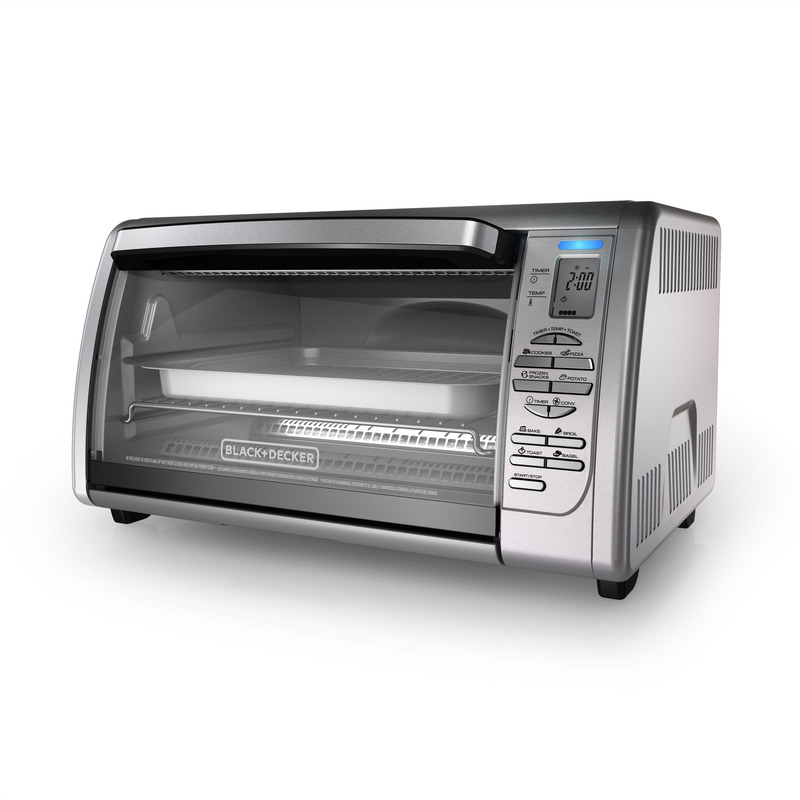 The cheapest option is the Black+Decker CT06335S Digital Convection Countertop Toaster Oven. It is ideal for those who just want a simple and efficient oven for their small home, condo or rental. But even though this is inexpensive, it looks like it is worth more because of its sleek and modern design and reliable functionalities. 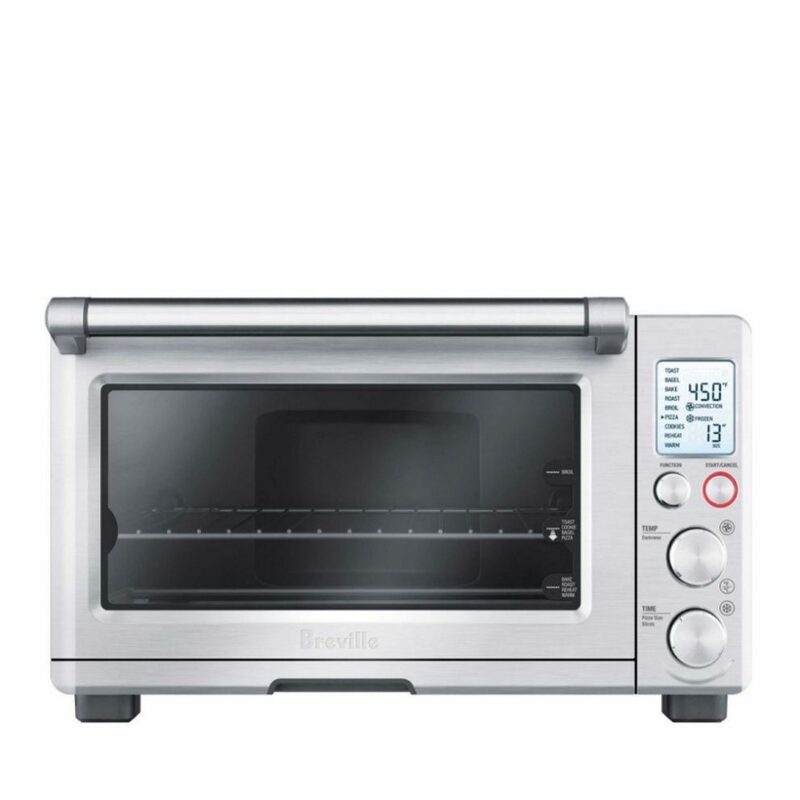 For those who are looking for high-end countertop ovens, the Breville BOV800XL Smart Oven is an ideal choice. It is the most expensive choice, but it doesn’t disappoint when it comes to features and functions. If you are not skimping on money, this should be the perfect choice for you. 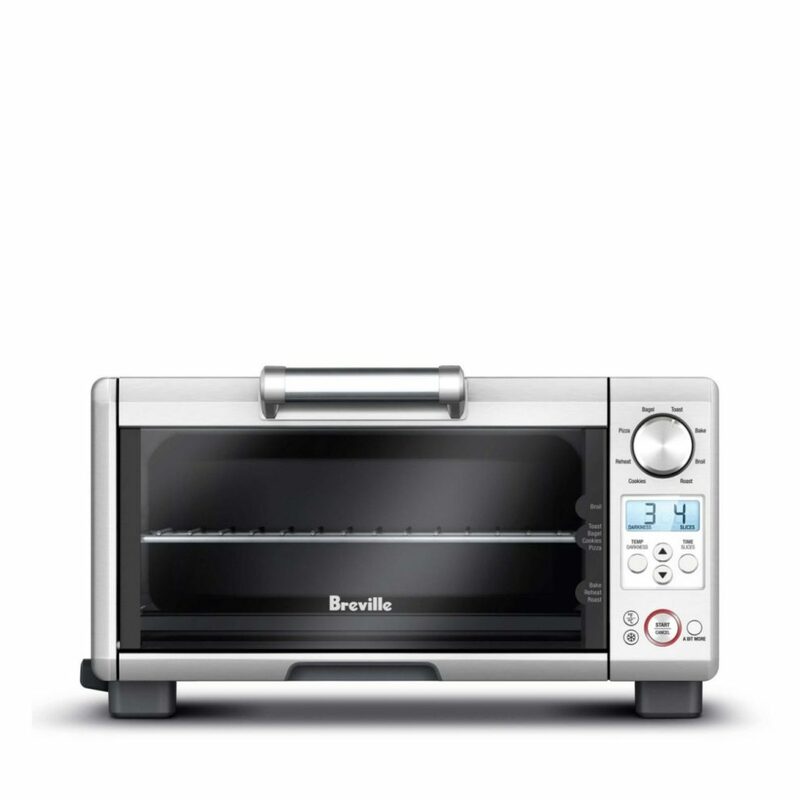 The Breville BOV450XL Mini Smart Oven is more compact and has a lower profile than others, great for those with limited counter spaces or those with small kitchens. You might not be able to stick a big whole chicken inside, but it should be a good choice if you only need to cook small batches of meals. Go for the Panasonic NB-G110P Flash Xpress Oven if you only need something for reheating and occasionally cooking meals. This one has reliable functions but might not have features as extensive as the others. Once you have decided which one to get, also check out our homepage. You might be able to find more kitchen products and essentials as well as read buying guide and product reviews to help you equip your kitchen with more reliable tools and appliances.